If you’re looking for a unique beach experience, you won’t want to miss the chance to visit Kolona Beach. 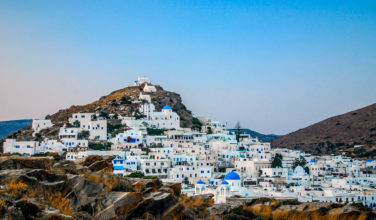 What sets this place apart is that the beach is actually a narrow slice of land that connects Kythnos to the nearby island of Agios Loukos. Sit at the beach and soak up the sun, and when you’re done, head over to the islet to explore. To get to the beach, start in Chora and head to the beach either by foot (it’s a fairly long but pretty hike), or by car. If you decide to take your rental car or a taxi, you’ll have plenty of energy to explore the golden sands of the beach during your stay! 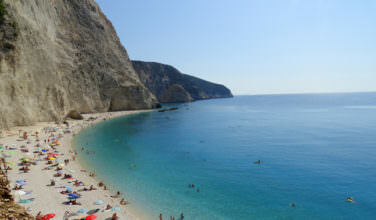 Are you looking for another beach that is also not far from Chora, the main town of the island? If this is the case, you won’t want to miss the chance to visit Loutra Beach. 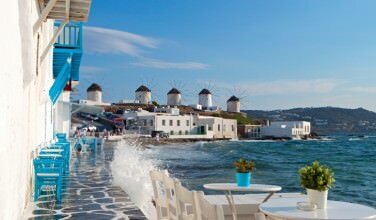 Located about five kilometers away from Chora, you can easily drive or take a taxi to this beach. What sets this place apart is that it is located in a pretty setting and is also fairly peaceful since Kolona Beach is one of the main draws of the island. The thing that sets this beach apart is the fact that there are some hot springs that flow into the waters. This makes Loutra Beach a particularly pleasant place for swimming and enjoying the waters. 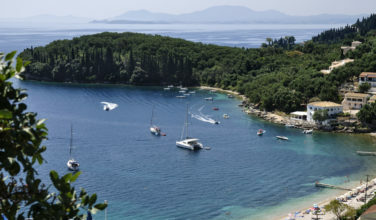 Kanala Beach is close to both Chora, the main town, and also the village of Panagia Kanala. You an easily reach it by rental car, taxi, or bus. Head here if you want a relaxing outing free from the crowds of some of the other beaches on the island. Bring a good pair of shoes, however, since part of the beach is made up of pebbles. Although this is a pleasant place to spend time, you’ll need to bring your own beach gear since it isn’t an organized beach. Are you looking for a beach to visit that is close to the village of Merihas. The beach itself is only around 500 kilometers long, but the golden sands, warm water, and sun making visiting here worth it. Some people are attracted to this beach because of its quiet charm. As you can see, the island of Kythnos has plenty of beaches to keep the people in your group happy. 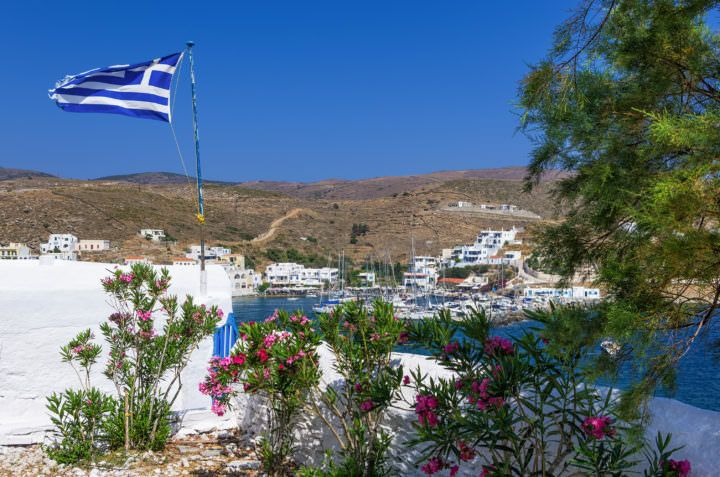 Whether you love soaking up the sun or prefer something a little more active, Kythnos has the perfect beach for you!